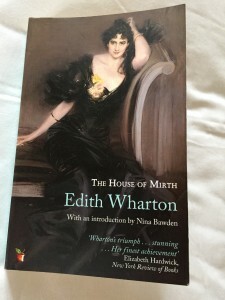 It’s fitting that I sit down to start writing this piece on the anniversary of Edith Wharton’s birth – Jan. 24, 1862. She was born into that ‘aristocracy of wealth and tradition’ that Leon Edel describes in his Life of Henry James, whose influence on Wharton’s writing was immense (they first met in 1903, when she was in her fortieth year and he was 60; he found her refined but ‘a little dry’). She never needed to work for a living, having inherited a large fortune. 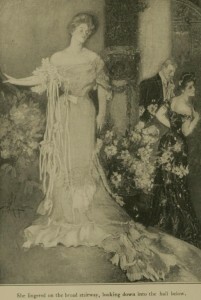 But her circumscribed world of wealthy cosmopolitan socialites was beginning to succumb to the arrivistes who are represented in this novel by the sinister entrepreneur Rosedale – a Jewish stockbroker/speculator whose depiction as a social climber is tainted by the anti-Semitism considered acceptable at the time. The privileged, luxurious Manhattan world – ‘this crowded, selfish world of pleasure’– was imbued with a hypocritical sense of traditional decencies, strict social codes based on superficial appearances and good manners whilst murkily compromised deeper down. At the time of their first meeting in 1903, James was working on The Golden Bowl, his intense and complex psychological portrait of a flawed aristocratic marriage, and its impact on a naïve young woman who learns and grows in maturity as a consequence of her husband’s venality. It’s interesting that Wharton’s House of Mirth, published a year after James’s novel, though set in New York, not England (where James had settled, and where his novel was set), has a plot and themes in some ways similar, but different in important ways. Even her title derives from the same book of the Old Testament. A frivolous society can acquire dramatic significance only through what its frivolity destroys. Its tragic implications lie in its power of debasing people and ideals. 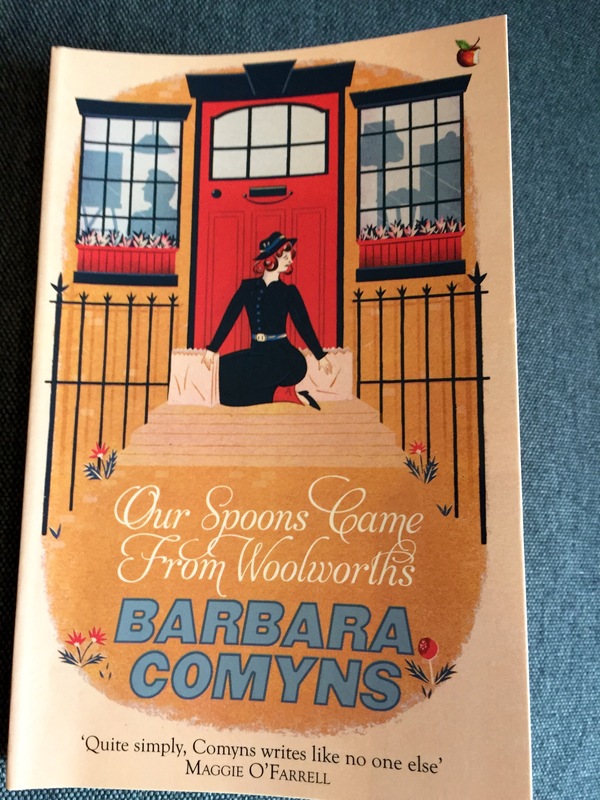 The answer, in short, was my heroine, Lily Bart (quoted by Nina Bawden, in the Introduction to the VMC edition). The novel opens when Lily is 29 and still unmarried. Her father had foolishly lost his fortune and both he and her mother are dead. She lives with her unloving aunt in New York, who distributes to her niece sufficient to get by, but which is never enough for extravagant Lily, who had been spoiled as a girl, and who naturally assumed that her beauty deserved luxury and indulgence. As a consequence she is ‘horribly poor – and very expensive. 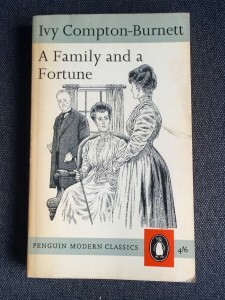 I must have a great deal of money’, as she confesses to Lawrence Selden in the opening chapter. She was ‘not made for mean and shabby surroundings, for the squalid compromises of poverty’, and has a ‘naturally lively taste for splendour’, she reflects later. Selden is the novel’s cowardly hero, and Lily makes the fatal error of believing that his self-satisfied, sanctimonious lectures on the vulgarity and venality of the society they both circulate arise from his truly virtuous moral rigour. What she fails to perceive is that this supercilious attitude is a pose; at heart he hypocritically enjoys the social life he outwardly scorns. They share a mutual attraction, but she considers him unsuitable marriage material because he works for a living (as a lawyer), and isn’t rich enough for her needs. When she needs him most he lets her down cravenly. She confides in him, in this early and ill-advised tête-à-tête (to visit a bachelor unchaperoned in his rooms, smoke his cigarettes and chat intimately like this would be considered ill-bred, ‘fast’ and morally compromising) that her only hope, as her financial situation reaches crisis-point – she has amassed huge gambling debts on top of her usual extravagances with jewellery and clothing – is to ‘calculate and contrive’ to marry a rich man. But her looks are beginning to fade, and her plight is becoming desperate. That she has failed to catch a rich husband so far is a result of her impetuous nature and naïve habit of pursuing immediate gratification, over-confident that something better will always turn up. Consequently she has let go several big, wealthy fish at the last minute in order to indulge a fleetingly more enticing whim. This childish recklessness is tempered by an intermittent but genuine moral sense of the ‘great gilt cage in which they were all huddled for the mob to gape at’, with its ‘vacuous routine’ of trivial parties and rancid gossip. Lily would love to have that freedom which Seldon calls ‘the republic of the spirit’, but as a woman this is not accessible to her. She had the art of giving self-confidence to the embarrassed, but she was not equally sure of being able to embarrass the self-confident. Such parallel structures can seem trite, but the chiasmus here is wittily shrewd. …she was like a disembodied spirit who took up a great deal of room. She was realising for the first time that a woman’s dignity may cost more to keep up than her carriage; and that the maintenance of a moral attribute should be dependent on dollars and cents made the world appear a more sordid place than she had conceived it. There are numerous reviews online; I’d recommend Trevor Berrett’s post at the Mookse and Gripes website, and Jonathan Franzen’s New Yorker article. I’ve just read JacquiWine’s post and find I’ve quoted several of the same passages! Hers is a judicious reading of this classic novel. 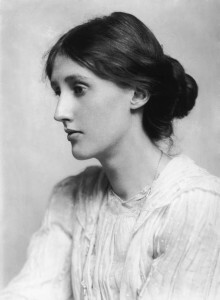 Virginia Woolf, née Stephens (1882-1941), was famously a central figure in the Bloomsbury Group, that loosely-linked, sexually entangled set of artists and writers who originally lived and met in the Bloomsbury district of central London. I’m sure I don’t need to say more: this is well-charted territory, and my OWC edition has an informative Preface and Introduction by the great Frank Kermode. 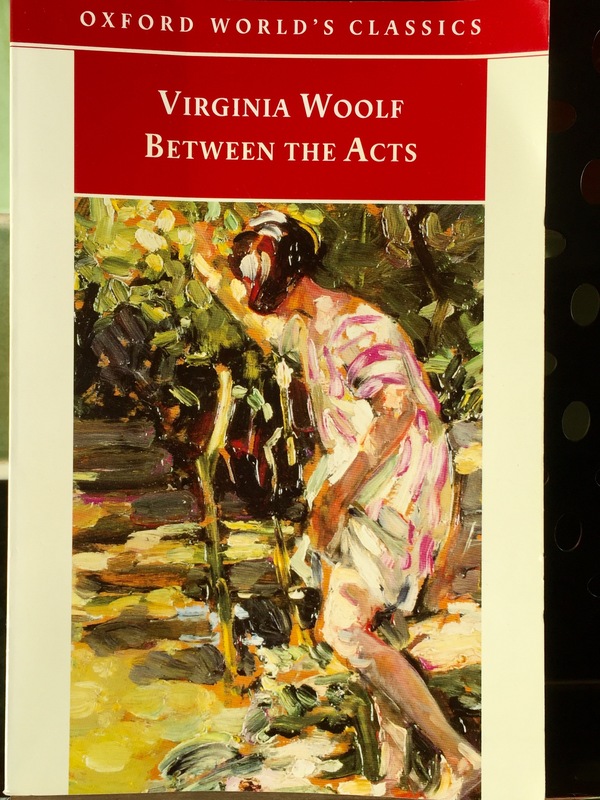 Between the Acts was completed in November 1940 but published in 1941, shortly after the author had drowned herself in the River Ouse in Sussex, having lapsed into another episode of the depression that had dogged her throughout her life. Its title derives from the novel’s central event: the staging of a ‘pageant’ about English history in the grounds of Pointz Hall, the country seat of the Oliver family. 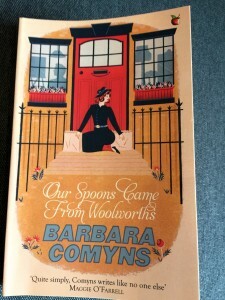 The novel’s subject is the history and culture of England as enacted in the pageant, possibly in response to the desperate atmosphere in which it was written, shortly after the outbreak of World War II. London was enduring the blitz – the Woolfs’ London house was damaged in it. Europe had largely fallen under the Nazi onslaught, and German invasion seemed imminent. Virginia’s husband, the Jewish intellectual Leonard Woolf, knew well what his fate would be under German occupation. From their Sussex house near the south coast of England they watched some of the aerial dogfights as the German planes flew towards their target zones: the industrial centres of Britain. The very survival of the country, and all that the Woolfs held dear in it – art, literature, civilization itself – seemed doomed. This novel can be seen, then, as concerning itself with endings: internationally and politically, but also personally. It’s set in June 1939, just before war was declared, but the crisis was clearly coming even then. My initial response to the novel was not entirely positive. The first half reads something like an Evelyn Waugh kind of witty portrait of privileged country gentry patronising the rural peasantry, with a great deal of sparkling social conversation and concerns expressed (as with Mrs Dalloway) about the refreshments (will the fish be fresh?) and about the weather – the pageant can only be staged outdoors if fine, in the swallow-haunted barn if wet. Kermode points out, however, that the novel needs to be read as a high modernist summa of contradictory images and thoughts: it is a linguistic enactment of the polarities which make up what we consider to be reality, and out of which we strive to make some kind of coherent sense. I shall give this a try. She came in like a swan swimming in its way; then was checked and stopped. made two rings, perfect rings, that floated them, herself and Haines, like two swans down stream. But his snow-white breast was tangled with a circle of dirty duckweed; and she too in her webbed feet was entangled, by her husband the stockbroker. What’s going on here? It’s tempting to fall into biographical fallacy and see a prophetic allusion to Virginia Woolf’s imminent death in the weedy Ouse; this may be so, but more to the point the entwined, iterated images of birds and water indicate that there are darker undercurrents, especially in the central relationships between the elderly brother and sister, Lucy and Bart Oliver, but more particularly that of Giles – who has a roving eye — and Isa, with whom he fails to connect emotionally. At the personal and the national level, that is, things are falling apart. she would destroy it, as a thrush pecks the wings off a butterfly. It’s a mistake, then, to read Between the Acts – as I admit I did initially – as simply a fanciful sequence of non-events and what Kermode calls ‘irrelevant fancies’; the author wasn’t especially interested in plot – her aim is to represent the randomness and incoherence of the fracturing world in the texture of her language, as poetry does. If it’s read in this spirit, the novel appears less trivial. She had been waked by the birds. How they sang! attacking the dawn like so many choir boys attacking an iced cake. She goes on to muse about prehistoric Britain, when there were ‘rhodedendron forests’ in Piccadilly, and no English Channel divided the country from the continent. 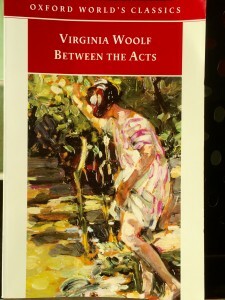 By examining this imagery it’s possible to see that Virginia Woolf is attempting, through such poetic tropes, to portray Britain in its entirety, from prehistory to the current desperate time of war, in terms of transitory fleetingness and cyclical patterns (birds inhabit the air (like warplanes?) or drift on water; their lives are short; swallows are often mentioned: they migrate – depart, arrive back). The troubled relationships of the central characters counterpoint these larger matters. The second half of the novel I found less satisfactory. It relates in what I found to be too much detail the contents of the pageant: staged tableaux and mini-plays depicting important milestones in Britain’s history, from early cavemen to the 1930s. There are long extracts of dramatic dialogue that I confess I often skipped. I also skimmed the last 50 pages. Mrs Sands [the cook] fetched bread; Mrs Swithin fetched ham. One cut the bread; the other the ham. It was soothing, it was consolidating, this handiwork together…Why’s stale bread, [Lucy] mused, easier to cut than fresh? And so skipped, sidelong, from yeast to alcohol; so to fermentation; so to inebriation; so to Bacchus; and lay under purple lamps in a vineyard in Italy, as she had done, often; while Sands heard the clock tick; saw the cat; noted a fly buzz; and registered, as her lips showed, a grudge she mustn’t speak against people making work in the kitchen while they had a high old time hanging paper roses in the barn. Some readers may find this too highly wrought; in some ways it is. But it’s also a subtle representation of the ways different people’s thoughts flow ineluctably towards the unknown, intertwining but never fully merging, laden with images (bread, clock, cat, fly) and sensations of sounds, sights and memories, from the mundane and concrete to the ethereal, abstract and imaginative. No individual can ever truly know another, this passage seems to suggest, or fully connect – but she can try. I can think of few other writers who come close to such a feat of narrative performance. Henry James, perhaps. It’s hard work, reading this novel, but probably worth the effort.